The site in Salthill where Barista Bus operated from. Pressure is mounting on City Hall to allow the popular Barista Bus to resume trading near Blackrock, but the local authority has said it was an unauthorised development and that Barista Bus needs to apply for planning permission before it might again operate in Salthill. City Hall has come in for public criticism over its handling of the issue, with the Social Democrats' Galway City West candidate, John Crowley, accusing the council of "heavy handed tactics" and "strangling new startups from reaching their full potential". However the local authority insists it is following planning regulations and procedures. Throughout 2018, Barista Bus, a small business run from a 1960s Volkswagen van, selling teas and coffees, proved popular with walkers on the Salthill Prominade, and especially with all year around swimmers in Blackrock. The bus was located on a small plot of land, just outside the Ocean Towers apartments, and opposite the entrance to Blackrock. The plot of land is privately owned, but was leased to Barista Bus for a monthly rate. On November 1, the Galway City Council issued a warning letter to the operator to cease trading as this was an "unauthorised development", ie, it was operating without planning permission. This was followed on December 14 by an enforcement letter. Earlier this month, two large concrete boulders were placed on the plot of land, preventing Barista Bus from trading on the site. This led to much public outcry online, including accusations that the Galway City Council had placed the slabs there in order to stop Barista Bus operating. In a statement on its Facebook page on Monday, Barista Bus confirmed it had received the letters from the Galway City Council and, following inquiries to the local authority, were told "confidential complaints" were made about it trading there (it is understood the complaints were from Salthill based businesses ). Barista Bus also said the letters contained “heavy-handed” language. 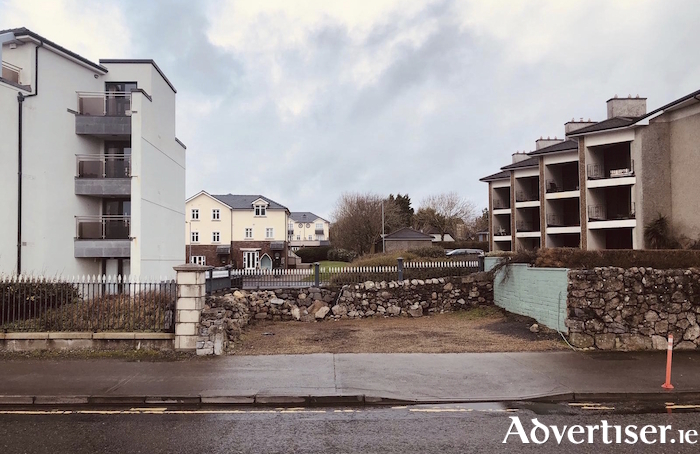 In response to this, a spokesperson for City Hall told the Galway Advertiser that it "did not place" the concrete slabs, was not behind any moves regarding that, and that such practices were not reflective of how it conducts issues of planning enforcement. The spokesperson also pointed out despite Barista Bus having an agreement with the landowner, it was operating an "unauthorised development" as neither had sought planning permission for the service there. "Not withstanding how attractive an offering like Barista Bus may be, there is still a requirement to adhere to the proper regulations," the spokesperson said. "Anywhere a business is operating, be it in a building or from a mobile stall, it is required to have planning permission. If it does not, it is unauthorised. This is not a criticism of its merits, it is about the issue of proper planning and authorisation." Regarding other criticisms, the spokesperson said that once a complaint is made, City Hall's planning department is required to investigate, and that the letters were not "heavy handed", but are required to draw attention to the statutory and legislative implications of an unauthorised development, including the fines that can be levelled at such infringements. An enforcement official from the council planning department recently carried out an inspection of the plot of land on Salthill, and found that the bus was not there and that the concrete slabs had been removed. As a result, the council is withdrawing both the warning and enforcement letters. The Social Democrats John Crowley has set up a petition (https://my.uplift.ie/petitions/bring-back-barista-bus ) calling on the council to work with Barista Bus "to find a solution to enable it to resume trading". It has received c1,000 signatures. However, City Hall told the Galway Advertiser that if Barista Bus wishes to trade in Salthill, it needs to go through the "proper channels" by applying for planning permission. Sinn Féin Galway City West councillor Cathal Ó Conchúir, although broadly sympathetic to the council's position, nonetheless stated that councillors "need to be more proactive in promoting similar enterprises along our beloved promenade". He is proposing that the Galway City Council "afford opportunities for business such as artisan food/beverages and craft village on the area to the left of Leisureland, apart from the summer period when the fairground attractions are located there. "This would be an ideal place for the Barista Bus," he said. "We should be proactively encouraging more businesses like the Barista Bus and affording such endeavours with all the help that we as councillors can afford them." Page generated in 0.1885 seconds.